Despite being sick with a nasty cold, I went for a short photo walk downtown Bellingham on Saturday. 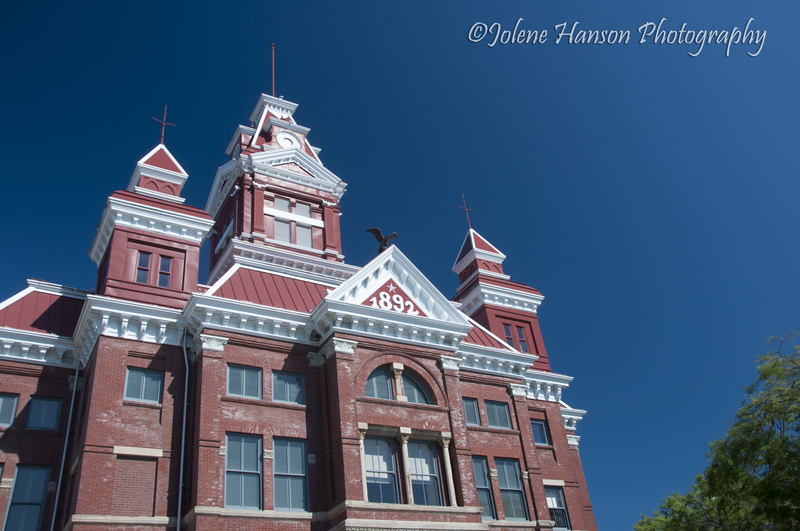 I used my Hoya multi-coated cir-polarizing filter since it was such a bright, sunny day. I’ve used the filter before, but I was especially impressed with the shots I got this weekend. I’m convinced the upload to WordPress degrades the photo quality a little, but prior to upload the contrast and color saturation on these photos was so good that they didn’t require any editing. These are straight from the camera! Without the filter, these would have been really washed out under the rare afternoon Washington sunshine. *Okay, straight from the camera is technically a lie. I edited out some wires (I hate wires!!!) and a partial view of a sculputre at the museum. But, the color etc. is unedited. 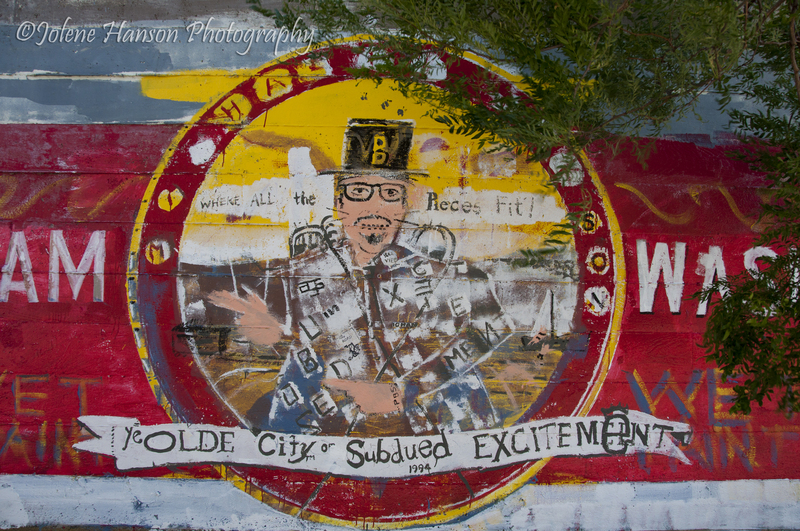 A partial view of a Bellingaham “City of Subdued Excitement” mural across from the museum. Gorgeous colors. I think I need to get myself a polarizing filter! Great shots Jolene! I love my polarizing filter, not only to get those wonderful blue skies, but to knock reflections out of windows and pools. Probably my favorite filter! Thanks, Jim! Yes, I think my favorite thing about using it is the way the blue skies turn out! Very rich colors and great saturation, Jolene. I have a hoya polarizer, too, but it rarely makes it out of my bag. It is quite useful for shots like these! I sometimes forget I have that filter, Joseph. But then when I start seeing my photos all washed out I’ll remember I have that as an option. Love it for the bright sunny days! Jolene, these are great shots. I’ve been thinking of getting a circular polarizing filter for my lens, I haven’t used one since the film days. Do you recommend any brand? Now I have to add this to my never ending wish list. Hope you are feeling better. Thanks, Martina. The brand I bought is Hoya. I like the filter a lot, but it was a tad pricey. For my 18-200 mm lens, I spent about $80. But, maybe that is standard for a good filter that size? Beautiful colors in the shots, Jolene. The polorizer is my second most used filter (behind the UV haze filter). Thank you, Ted! I feel like I still need to do more research into the type of filters available. My polarizer is the only one I have now. Lovely photos, Jolene. With the second one (my favourite of the three), I wonder how it would look if you edited out the tree. I think it’d give a great amount of negative space that could be interesting. I was actually thinking the same thing about the second one, Nigel. For the version I load to my website later, I’m going to edit out that tree. Good shots. 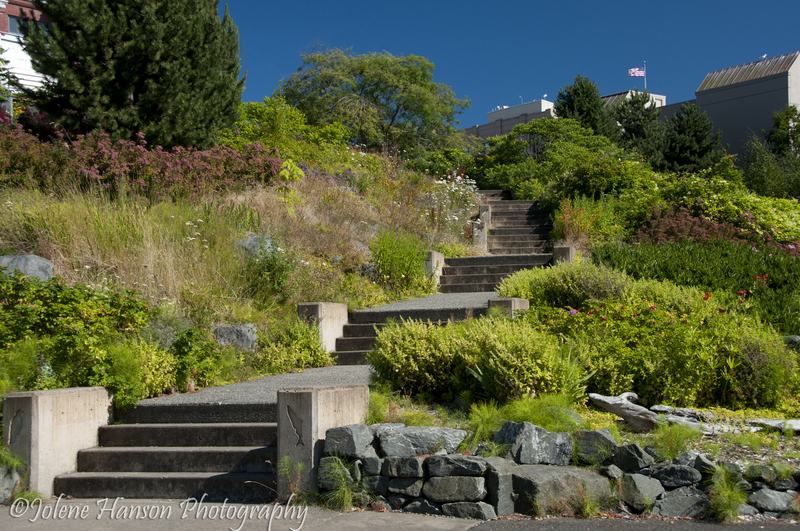 I agree – on a bright sunny day a circular polarizer filter is your best friend. Most of my landscape shots are done using a Nikon CP2 filter.